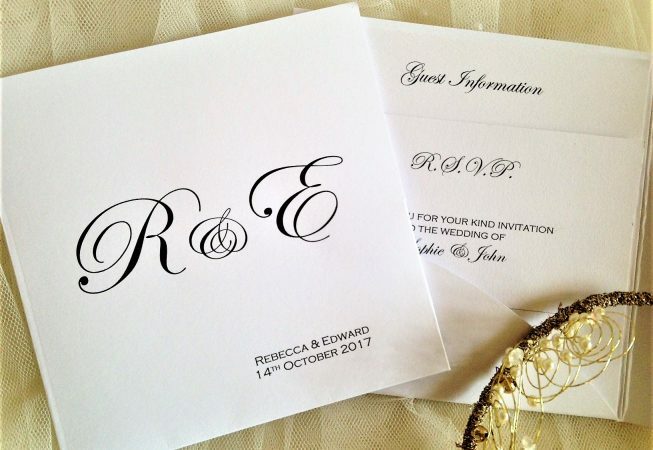 Attractive top quality Pocketfold Wedding Invitations – Bride and Groom Initials which feature a handy pocket on the side. 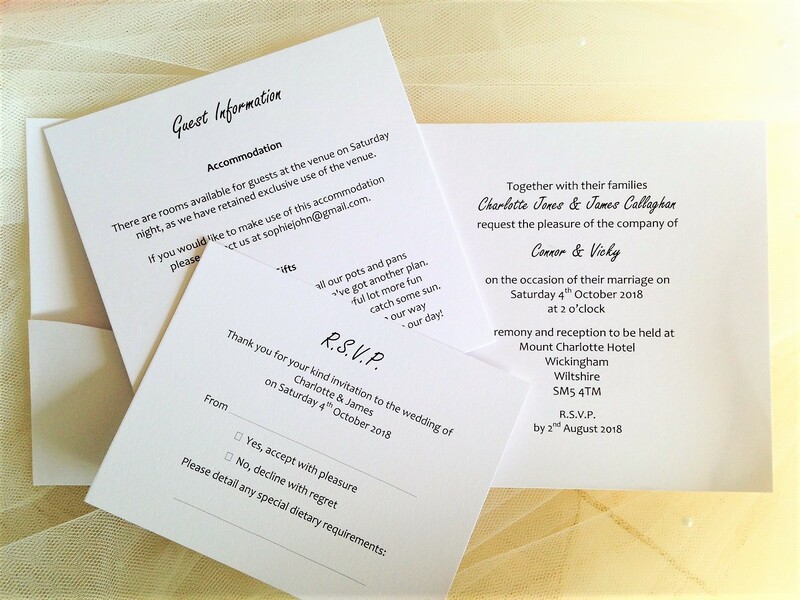 Open the card to reveal the invitation details on the right hand side and the insert cards handily placed in the pocket to the left hand side. 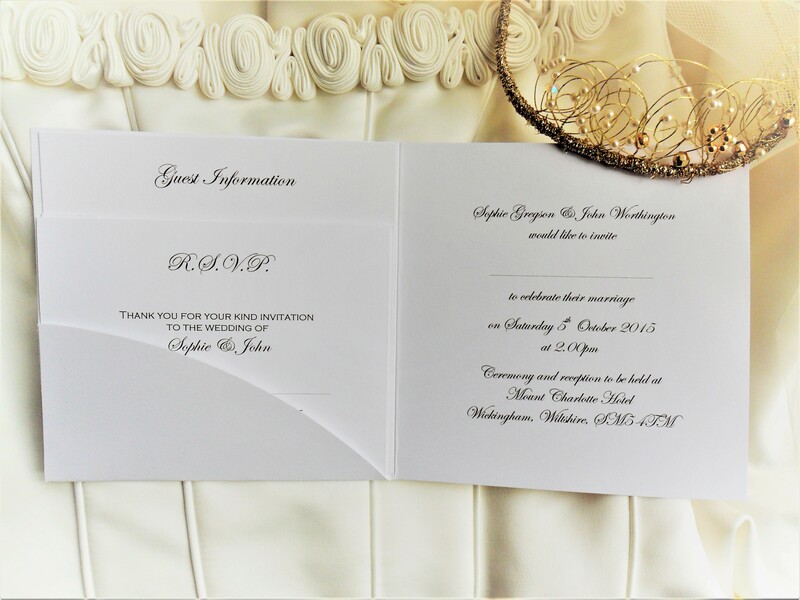 A quality heavy weight (300gsm) smooth white invitation card. 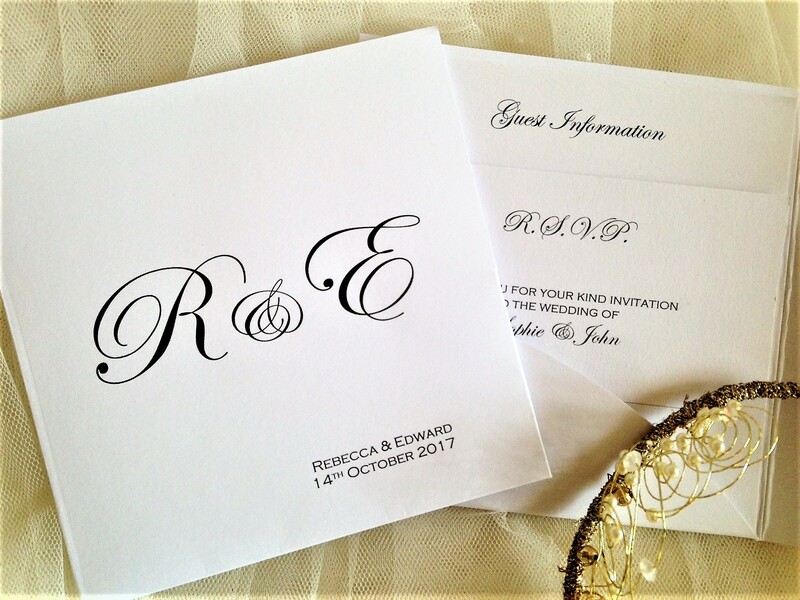 All our wedding invitations are supplied with a matching white envelope and we can print your guests names free of charge (this is optional). 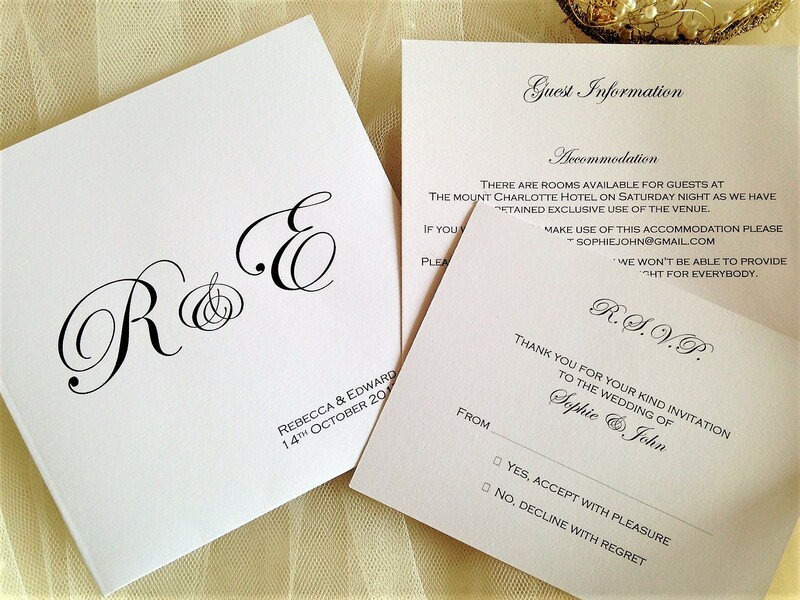 Your initals on the front of the invitation can be added to other elements of your wedding stationery. Please note: this style of pocketfold wedding invitation isn’t available with a ribbon. Please see our alternative pocketfold wedding invitation (bottom pocket) design which is only available on hammered card but can be purchased with a ribbon.